Flip a coin. 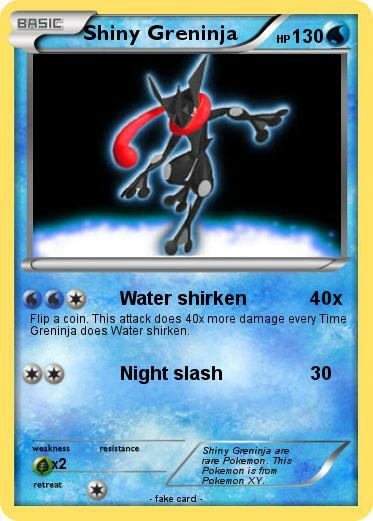 This attack does 40x more damage every Time Greninja does Water shirken. Comments : Shiny Greninja are rare Pokemon. This Pokemon is from Pokemon XY.